Basic silver nose studs made of surgical steel. The coloured stones on top are both subtle and attractive. 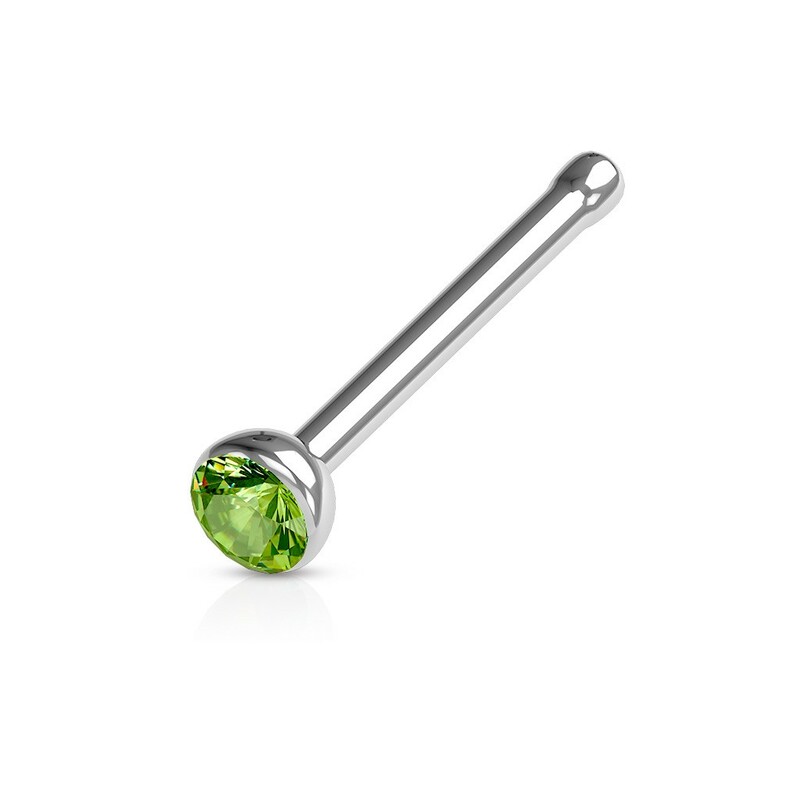 A must have for any nose piercing collection. 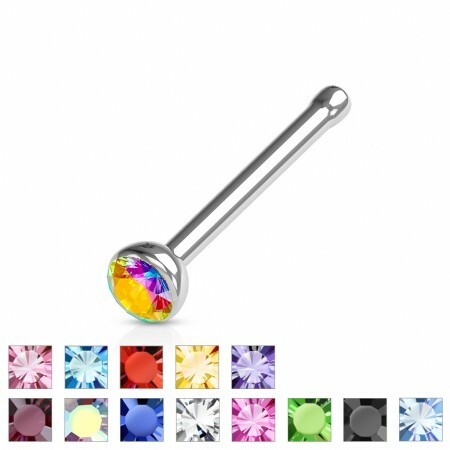 With so many color variations and it's affordable price, these nose bone studs are immens popular. Choose the size you need and order whatever color you like. Surgical steel is great for making nose studs. However, they will discolour after a while. 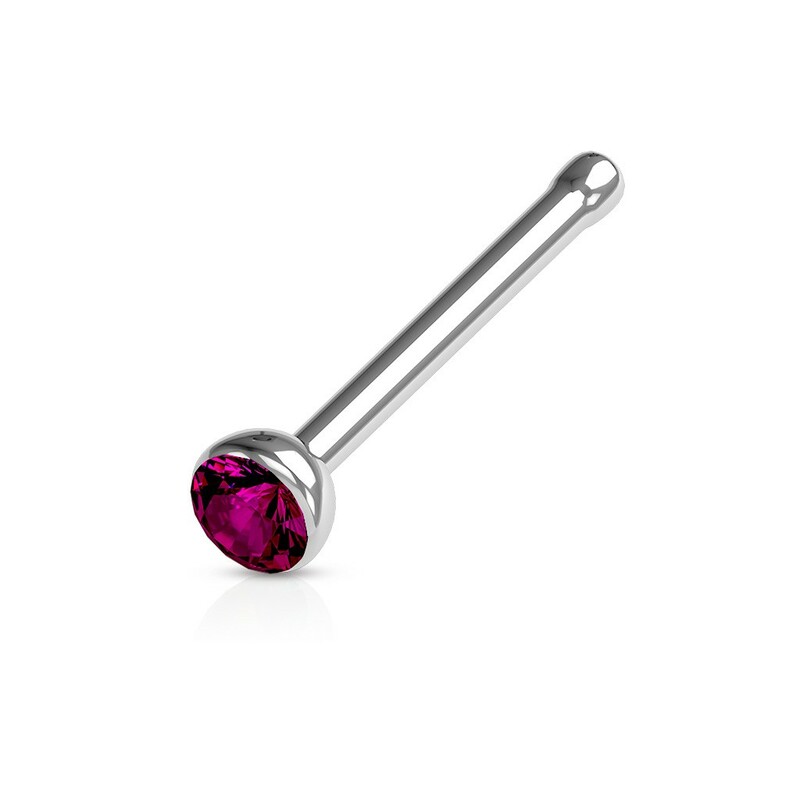 Also consider investing in a white gold nose stud that will stay beautifull forever.